enemies. There is no alliance. Comrade, there are many ways to die. Comrade, it must own its earth, it must first grow on its own earth. 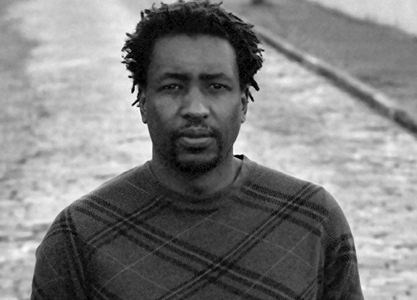 Novelist, poet, and essayist Mukoma Wa Ngugi is the author of Nairobi Heat (Penguin, SA 2009), an anthology of poetry titled Hurling Words at Consciousness (AWP, 2006) and is a political columnist for the BBC’s Focus on Africa Magazine. He was short listed for the Caine Prize for African writing in 2009. He has also been short listed for the 2010 Penguin Prize for African Writing for his novel manuscript, The First and Second Books of Transition. A former co-editor of Pambazuka News, his columns have appeared in the Guardian, International Herald Tribune, Chimurenga, Los Angeles Times, South African Labour Bulletin, and Business Daily Africa, and he has been a guest on Democracy Now, Al Jazeera and the BBC World Service. His essays have appeared in the World Literature Review, the Black Commentator, Progressive Magazine and Radical History Review. His short stories have been published in Wasafiri, Kenyon Review and St. Petersburg Review and poems in the New York Quarterly, Brick Magazine, Kwani?, Chimurenga and Tin House Magazine amongst other places. Mukoma was born in 1971 in Evanston, Illinois and grew up in Kenya before returning to the United States for his undergraduate and graduate education. He is currently based in Cleveland, Ohio. He is the son of World-renowned African writer, Ngugi wa Thiong’o.